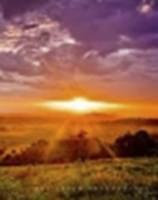 Florez, Isadora, age 66, a resident of Mesa, Az., passed away peacefully at her home on Tuesday, October 21, 2014. She is survived by her parents, Abran and Georgia Serrano; her husband of 46 yrs, Alonzo Florez, son, Alonzo Florez Jr. and wife, Dawn; grandchildren of her heart, Amanda Florez, and Adam Florez. Sisters: Benita Lucero, Rita Serrano, Martha Rogers and husband Kerry, Patricia Sichler and husband Robert, Clara Serrano, Selina Serrano and husband Louis Martinez; brothers: Richard Serrano and wife Georgette, Eloy Serrano, Michael Serrano, Abran Serrano Jr., and wife Donna, and Lino Serrano and wife Amy, and many nieces and nephews. She was preceded in death by her son Anthony Florez; both grandparents and her mother and father-in-law Alonzo and Loretta Florez. She really enjoyed playing golf, quilting, needle point, painting, and sewing. But her greatest joy was spending time with Amanda and Adam. She was such a bright spot in our family and we will greatly miss our “Lollie”. A funeral mass will be celebrated on Tuesday, November 04, 2014, 12:30 p.m. at Santo Tomas Catholic Church in Abiquiu, NM. Interment of ashes will be held privately at Mt. Calvary Cemetery. Mia mas sinceras condolencias. Mi gran deseo es de compartir con la familia una escritura que les pueda ayudar en estos momentos de tristeza. En Apocalipsis 21:3,4 Dios nos promete eliminar la muerte y todo el sufrimiento que nos causa. Que maravillosa esperanza. Los invito a leer ese texto en sus propias Biblias. Para aprender más, también los invito a http://www.jw.org/es. Una vez más, lo siento.